“heavy rotation” is a new monthly long-form piece designed to infuse dimestore saints with more intellectual writing. while much of the content on this website is dedicated towards brand new and impending releases, music from previous years still carries a lot of merit. each installment of this segment will examine an album that has been listened to frequently over the past month. i’ll try my best not to ramble. my musical relationship with wilco is rather new. i’ve owned yankee hotel foxtrot for years, as i considered it to be a part of the early twenty-first century’s pantheon of indie rock, but i was never enamored by it, and i never felt a strong emotional connection to it. i guess that doesn’t really surprise me; it takes quite a bit for a body of music to resonate with me on that level, but i’m still able of recognizing and appreciating immensely talented musicians when i hear them. the culture of blind acceptance surrounding that record was always – and still is – quite off-putting to me; it joined the company of neutral milk hotel’s in an aeroplane over the sea, radiohead’s kid a, and arcade fire’s funeral, becoming a blindingly accepted need-to-know classic. for the record, i adore neutral milk hotel, rank ok computer and in rainbows as my two favorite radiohead albums, and have honestly never caught the arcade fire fever, although i did enjoy neon bible. knowing that my personal variance in taste did not comply with what was becoming standard in certain cultures who fancied themselves experts on the genesis of indie rock, i was hesitant to approach yankee hotel foxtrot, or even wilco’s discography in general, for that matter. last summer, one of my roommates bought a copy of the whole love. as i heard that record spinning on the turntable in our living room, something triggered the resurgence of the wilco bug: a feeling i had always felt somewhat impure for never having up until that point. in all honesty, it was probably nels cline’s guitar solo in “art of almost,” but it got me listening again. after digesting the band’s most current offering, i felt it wise to revisit the magnum opus i had long been suspicious of. sure enough, the umpteenth time was the charm, or so goes my version of the saying. i wasn’t ready to accept the album as the unblemished piece of porcelain perfection certain publications made it out to be, but i could concede to its influential nature and could certainly appreciate its musical nuances more so than i was able to at the age of sixteen. my waning skepticism and waxing intrigue progressed, over the next few months, to a point where i couldn’t pass up a “used” copy of wilco’s 2004 album a ghost is born when i saw it at a record shop last month. i put “used” in quotations because i’m convinced that, apart from the external packaging being removed, the album was never touched. if you still remember cds, you’ll recall the slightly resistant metallic click that occurs when a disc is removed from its casing for the first time; hearing that noise was unexpected but welcomed, because i can’t complain about getting a brand new record for five dollars. after praying that my computer wouldn’t ingest the disc while i burned it onto my itunes, i put a ghost is born on my iphone, plugged in my headphones, and started listening. 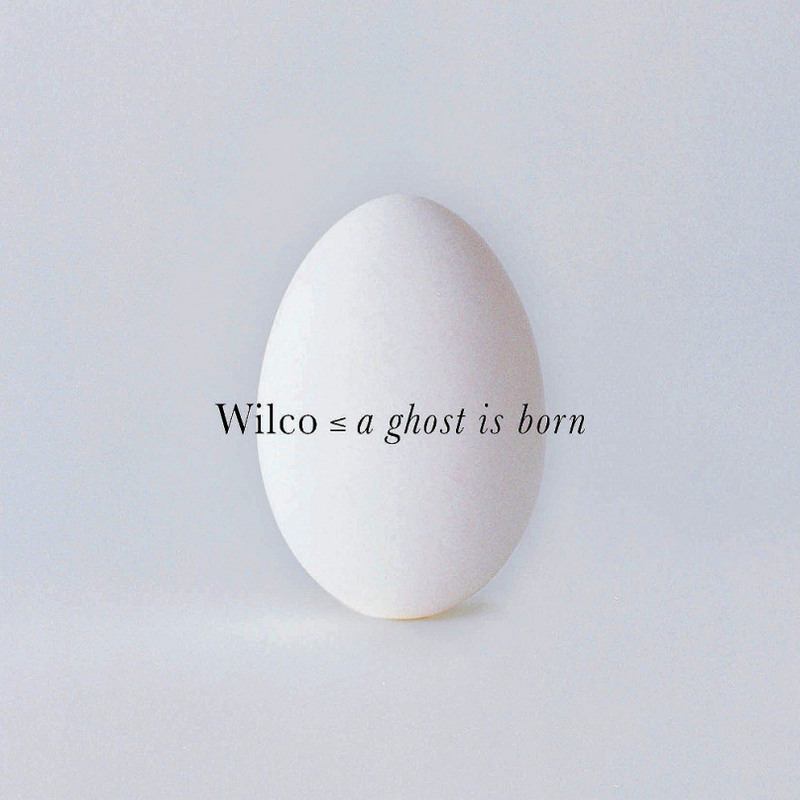 the sense of urgency across a ghost is born is apparent from the first soulful guitar interjections on “at least that’s what you said.” as they transform into a tortured, forlorn solo before finally burning out, they also succeed in evoking the first sustained emotion i’ve ever experienced while listening to wilco. those emotions really get contextualized after doing a bit of research and learning about jeff tweedy’s tumultuous personal life during this time, and he channels those issues in his first true foray into playing lead guitar for wilco. slow-burning, introspective a-side cuts like “hell is chrome” and “muzzle of bees” reflect the sentiment attributed to the record, but i think tweedy’s capacity to create a bonafide rock album in spite of an available emotive crutch is equally noteworthy. a song like “spiders (kidsmoke),” clocking in at nearly eleven minutes, inevitably carries the possibility of being a derivative jam that causes an album to lose its focus early on. it’s pulsating dance groove doesn’t exactly immediately plead its case for consideration, but the overall structure of “spiders (kidsmoke)” is imperative to the subsequent tone of a ghost is born. the first third of the song is comparatively subdued; flying under the radar is what tweedy does best, and he’s able to deliver some of his signature off-kilter lyrics before the texture of instrumentation gets too thick. when the main riff finally kicks in around the four-minute mark, it’s bolstered by an acoustic piano timbre that recalls “hell is chrome” and foreshadows “hummingbird.” when chord qualities change three minutes later the harmonic shift is again led by the piano, further underscoring its importance to the timbre and overall direction of the record, and the counter-melody that alters the main riff just before the song ends is attributed to the piano as well. for someone who relied so heavily on the acoustic guitar to create his first heavily-lauded body of work, tweedy’s abandonment of it as a rhythmic tool is curious, but it’s also what makes a ghost is born such a singular offering in the band’s discography. even the mid-tempo songs in the middle of the album, ones like “wishful thinking” and “company in my back” that wouldn’t feel out of place in a yankee hotel foxtrot setting, don’t fall back on that proven formula; if anything, they flip the formula on its head and use the stringed instruments purely for color while the piano mindlessly dictates the rhythm of the song. somehow, all of this resonates deeply with me. the somber opening and cataclysmic guitar solo in “at least that’s what you said” leave all subsequent tracks open to a wide variety of possibilities, most of which wind up being covered. there’s the brief, reckless abandon of “i’m a wheel,” the tongue-in-cheek lyrical nature of “the late greats,” and the ambient, quarter-hour doozy “less than you think,” which is a supreme exercise in sound manipulation confined to a time span ideal for processing all of the antecedent tracks.